Let your inspiration show. 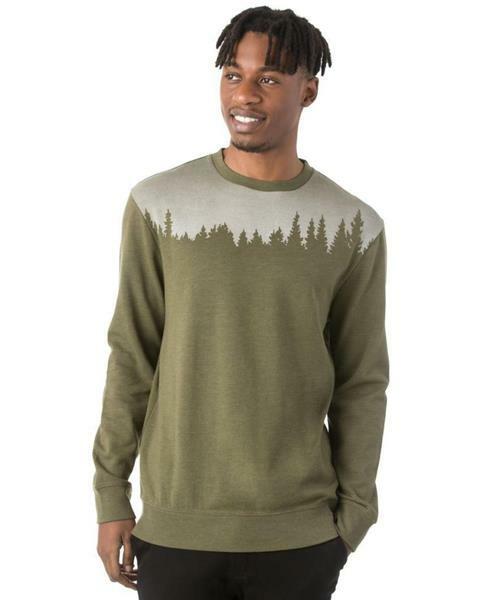 This crewneck sweatshirt is distinctly designed with an illustrious treeline silhouette graphic. Plush, warm, and eco focused with a blend of organic cotton and recycled polyester. Ten trees are planted in honor of every product sold.